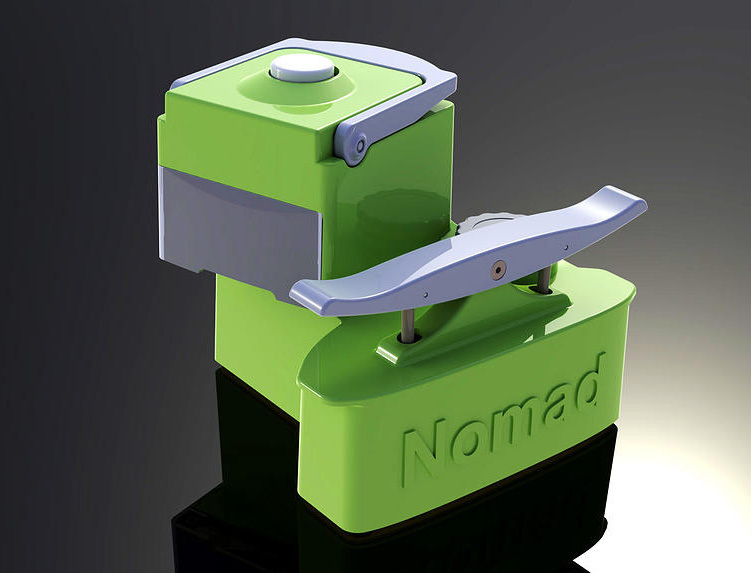 The Nomad™ is a revolutionary portable espresso machine created by UniTerra INC. After more than 3 years of design, development and testing the Nomad completed a successful Kickstarter funding campaign in 2013. With the help of our contract manufacturing service the Nomad is now in production and was officially launched (April 2014) at the Specialty Coffee Association of America (SCAA) convention in Seattle to great reviews. It’s our pleasure to work on the Nomad™ project with Mr. Vincent J. Chen, Ph.D. and Mr. Curt Morgan of UniTerra through the design feedback, tool-up, trial run, and finally the mass production. We organized dozens ofcomponents for assembly, QC/QA, packaging, and also provided logistics to bring your design to life!